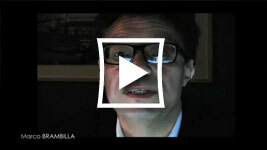 the re-interpretations of the classic fresco by Dali, Warhol, and others has inspired other work of mine over the years. 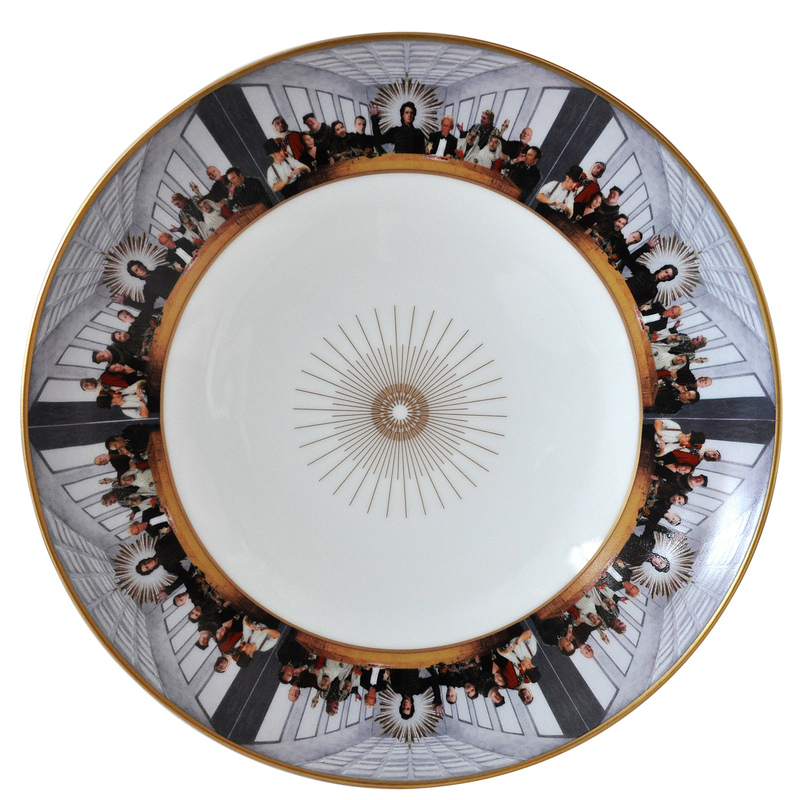 So when the opportunity came up to work with Bernardaud on a set of dinner plates, this seemed perfect context for another re-invention. 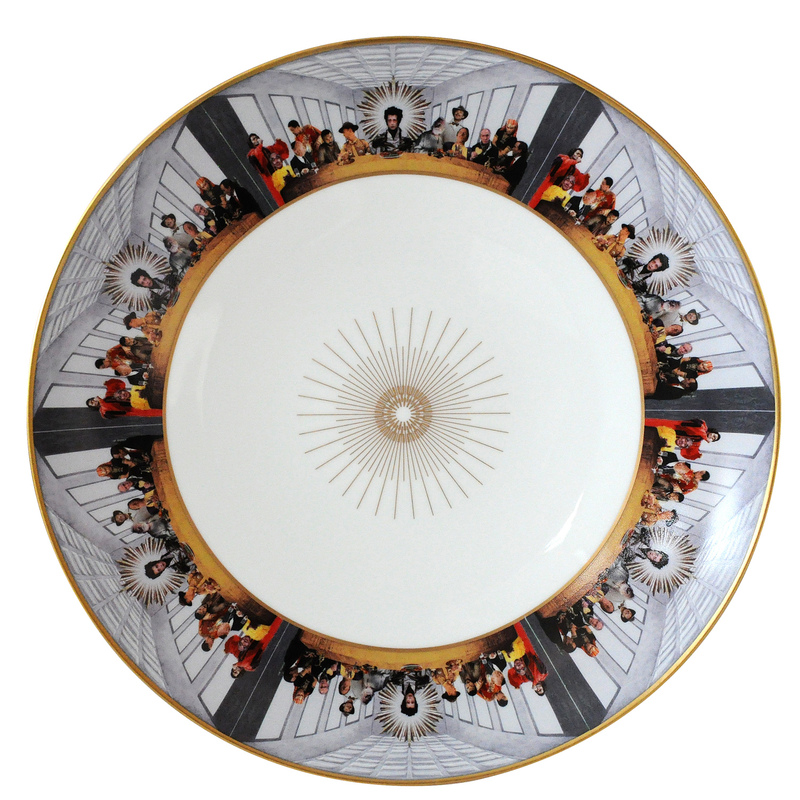 My version of The Last Supper features movie characters arranged in roughly the same composition of the original. 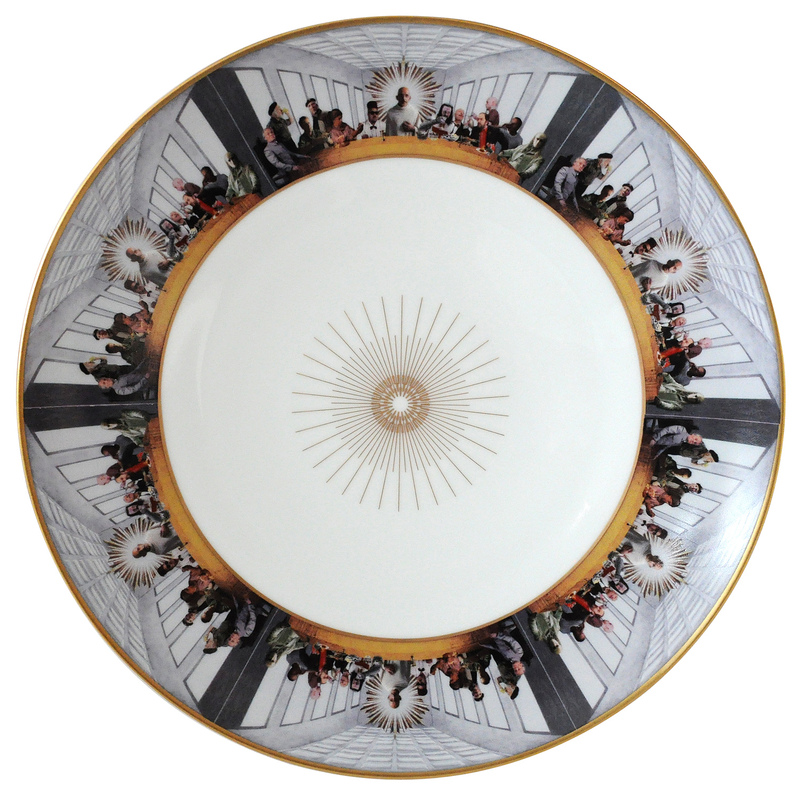 There are 12 "variations" of the classic Da Vinci Fresco, each featuring a different "Messiah" and a different set of disciples. 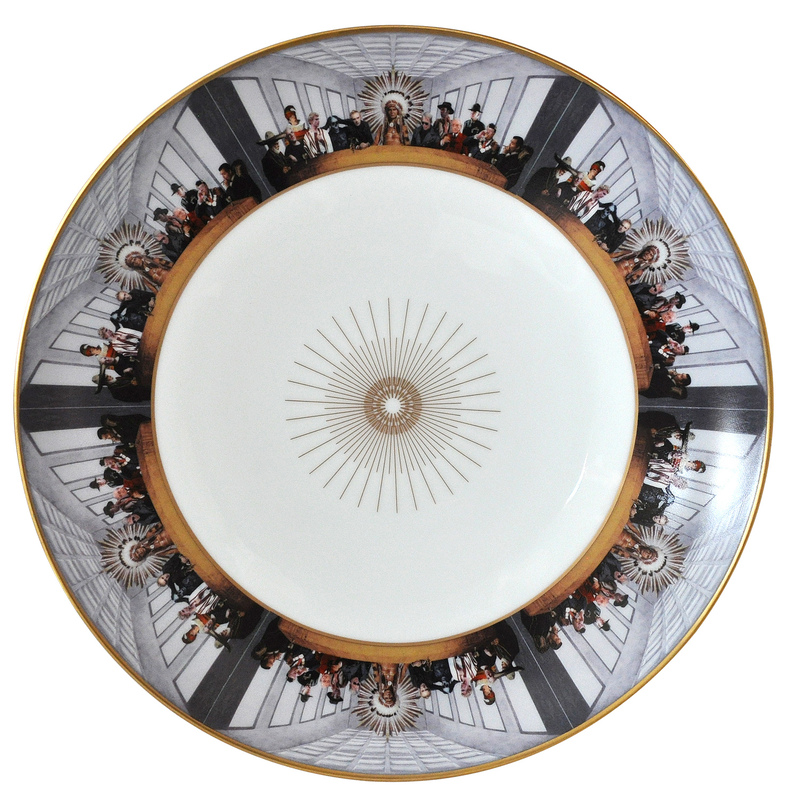 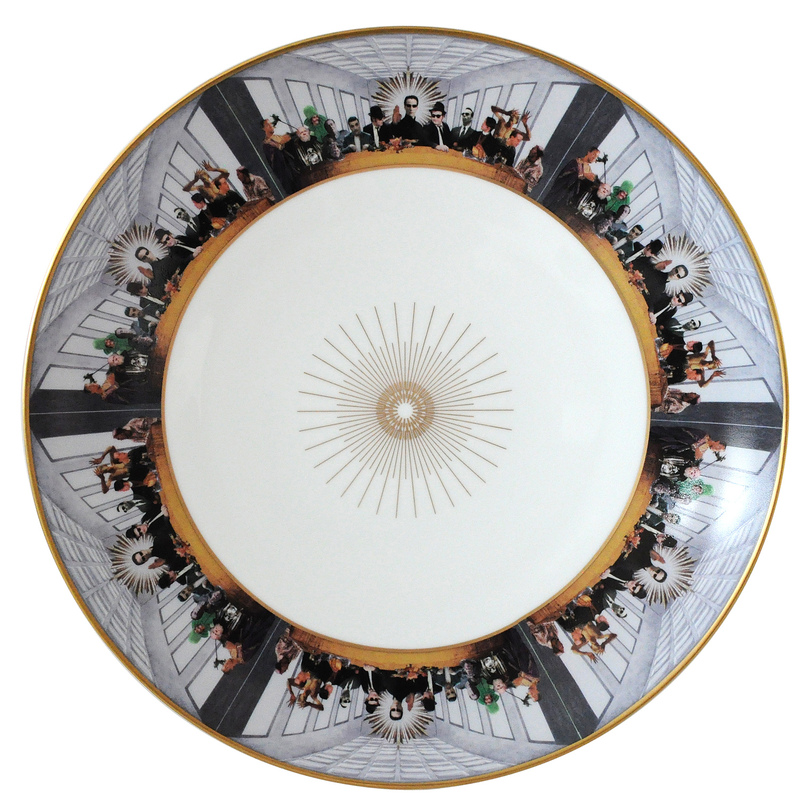 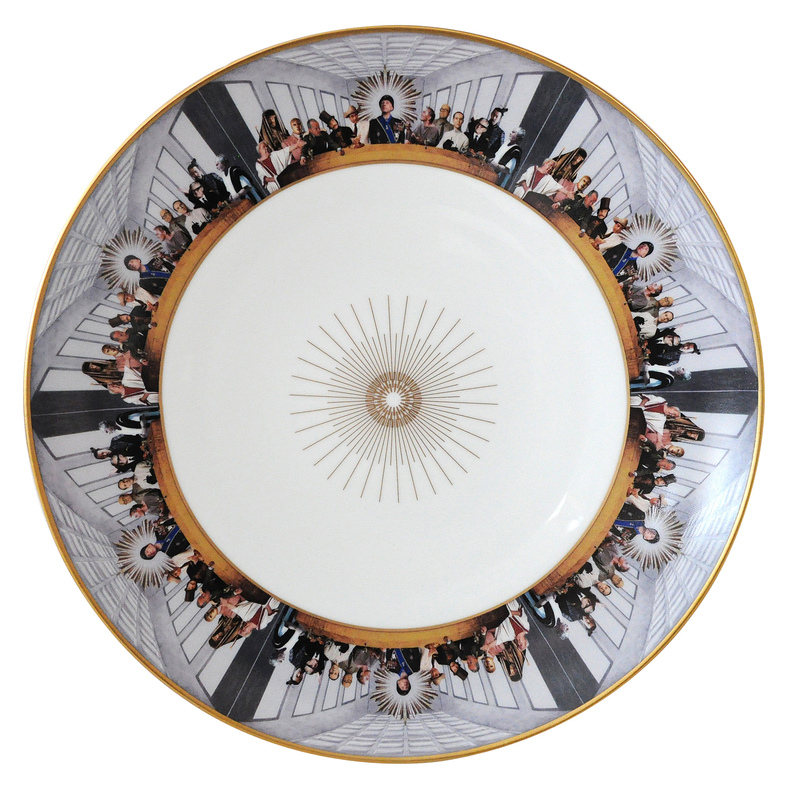 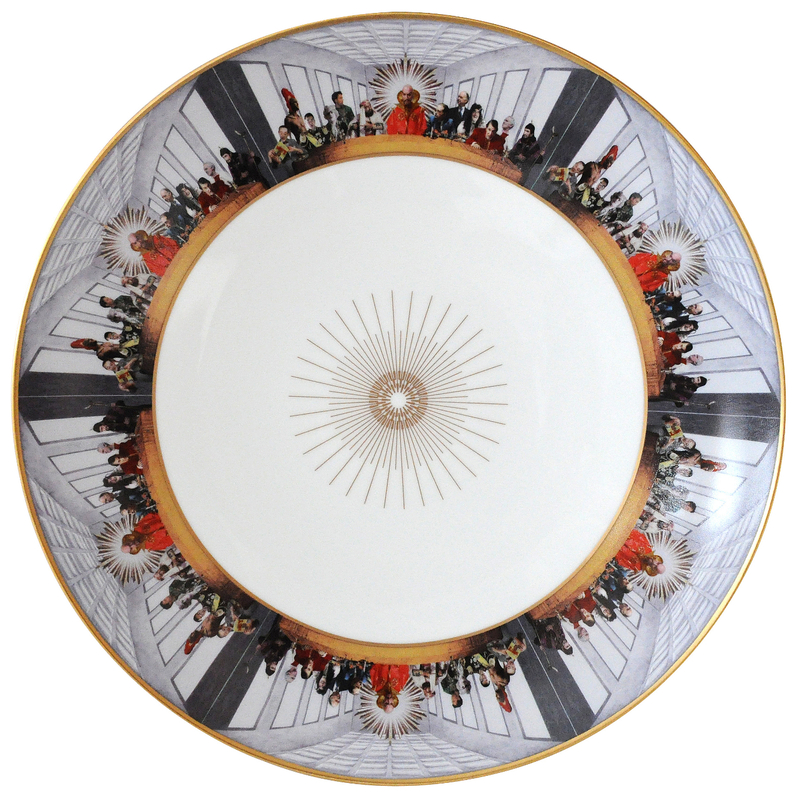 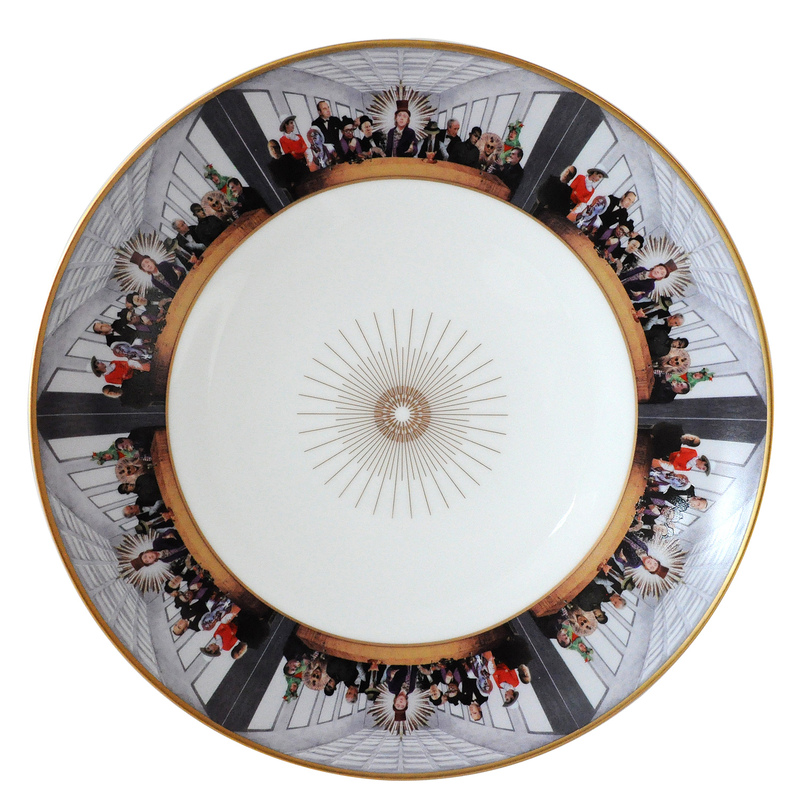 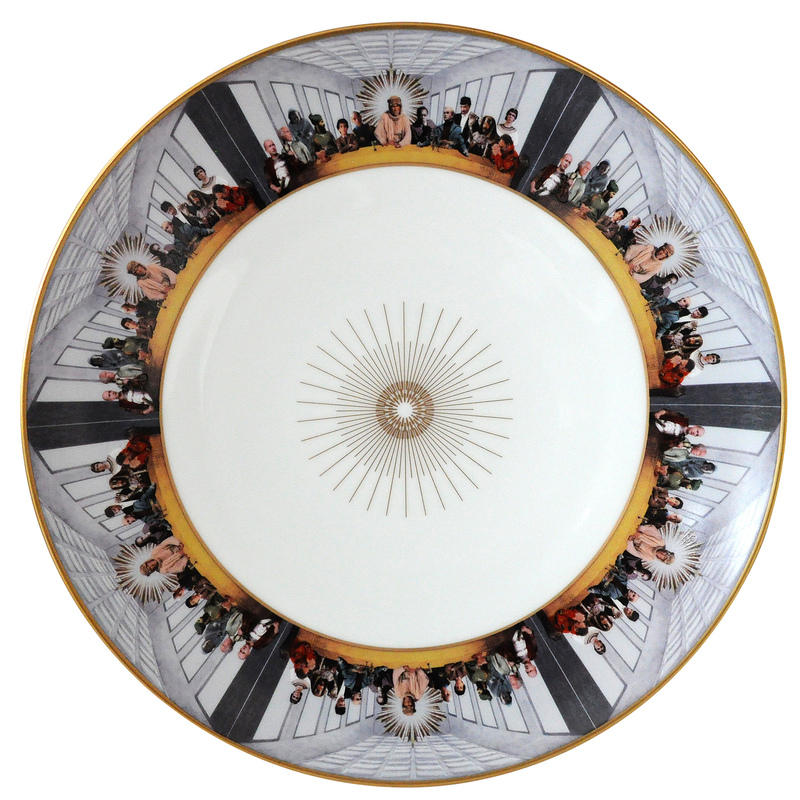 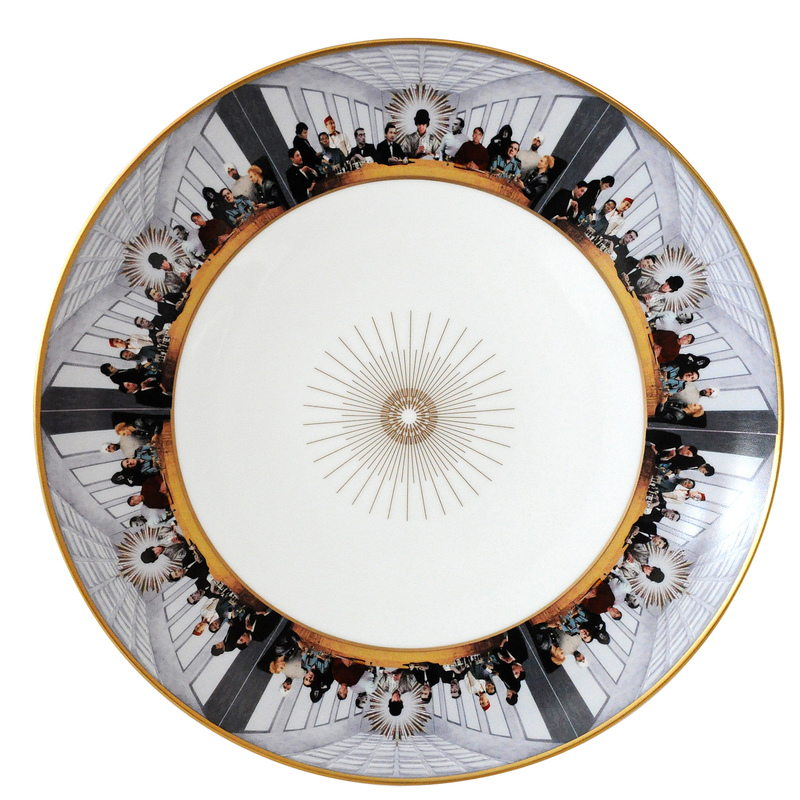 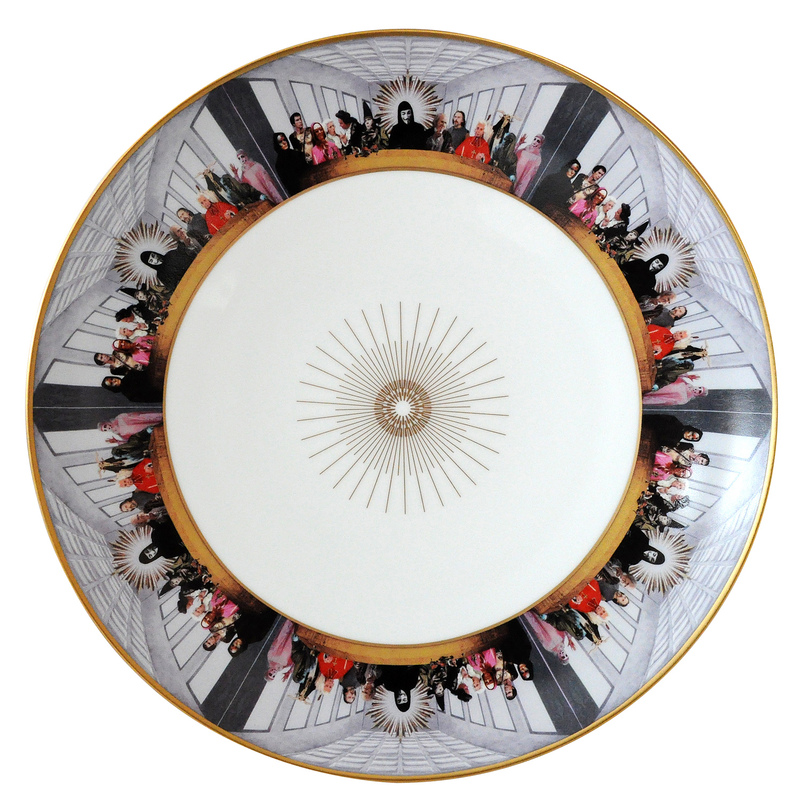 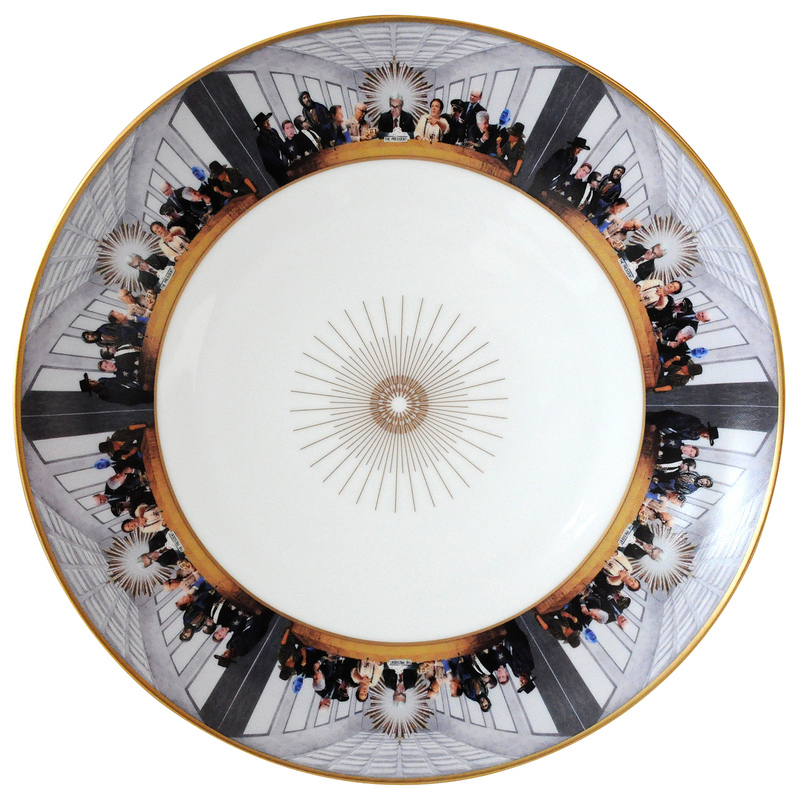 The dinner set will look very precious and opulent, and the playfulness of this pop-culture Last Supper should make for interesting dinner conversation once the table is set."